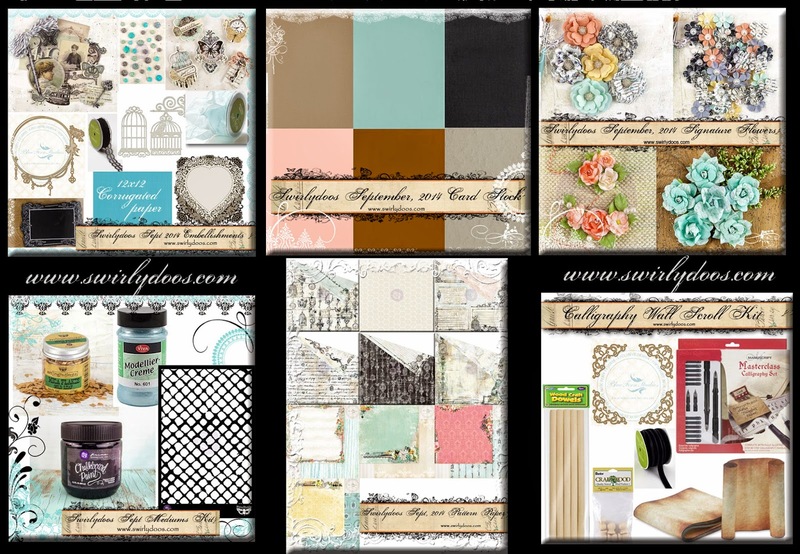 Scrapping Fancy: Swirlydoos Kit Club October Reveal! 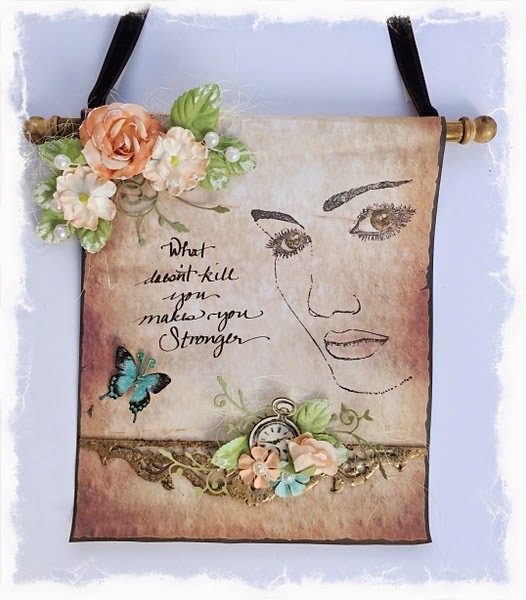 Swirlydoos Kit Club October Reveal! We are not having a blog hop this month, but there will still be ways to win some prizes and, of course, beautiful projects to see from our talented design team! Go to the Swirlydoos blog to find out how you can win some fabulous prizes just by being a part of our NEW Facebook gallery! Make sure you have LIKED & FOLLOWED Swirlydoos on Facebook!!! 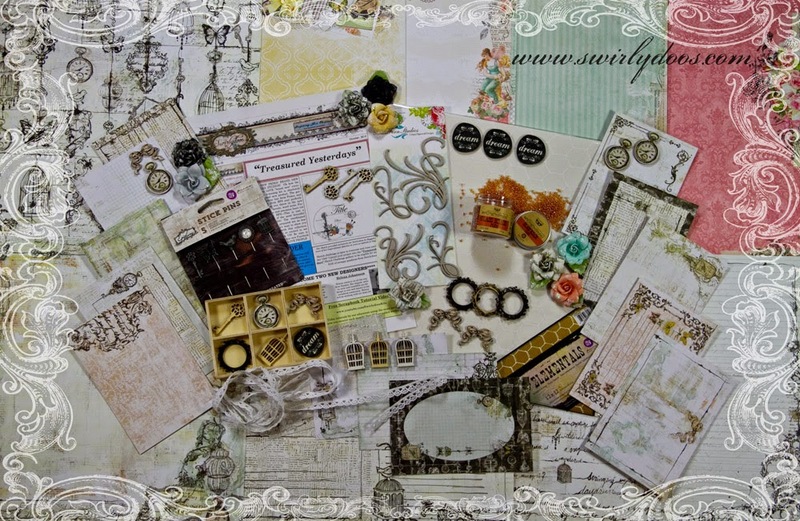 And check out these coordinating add ons that perfectly compliment our October scrapbook kit! Here are a couple of projects that I have made with this amazing kit so far. This is my layout based on this month's sketch. 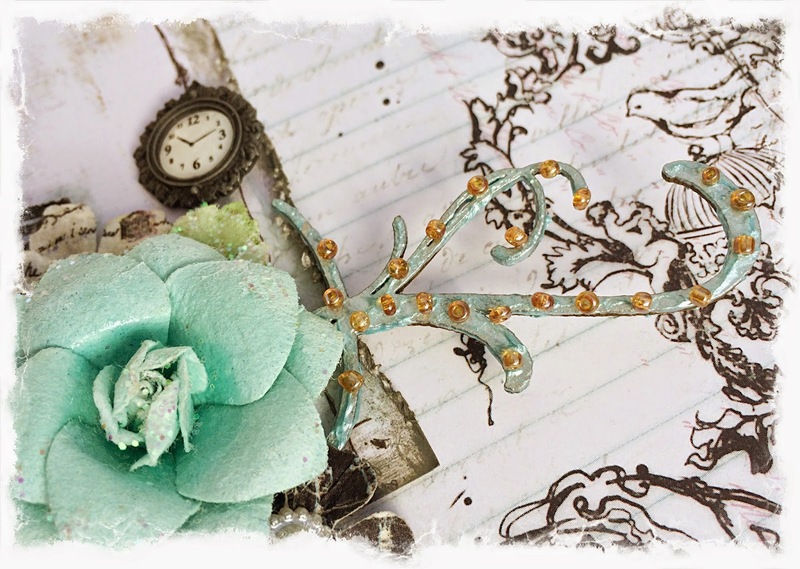 Here's a closeup of the Blue Fern Studios flourishes that I painted with the blue modeling cream form the mediums add on. I added some of the glass beads from the main kit. This is my wall scroll that I made with the technique/project kit this month. 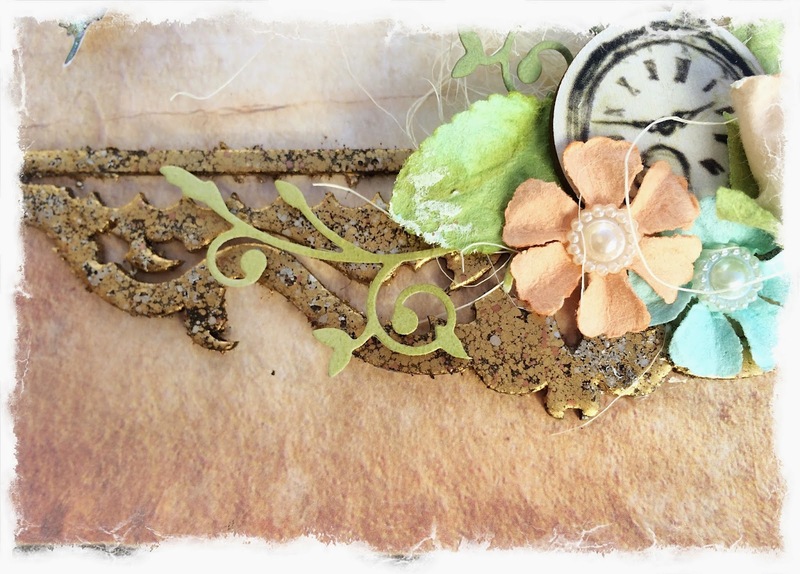 Here's a closeup that shows the treatment of the chipboard- I used some embossing powders from my stash. I also added a Memory Box die cut and some sisal to both flower clusters. 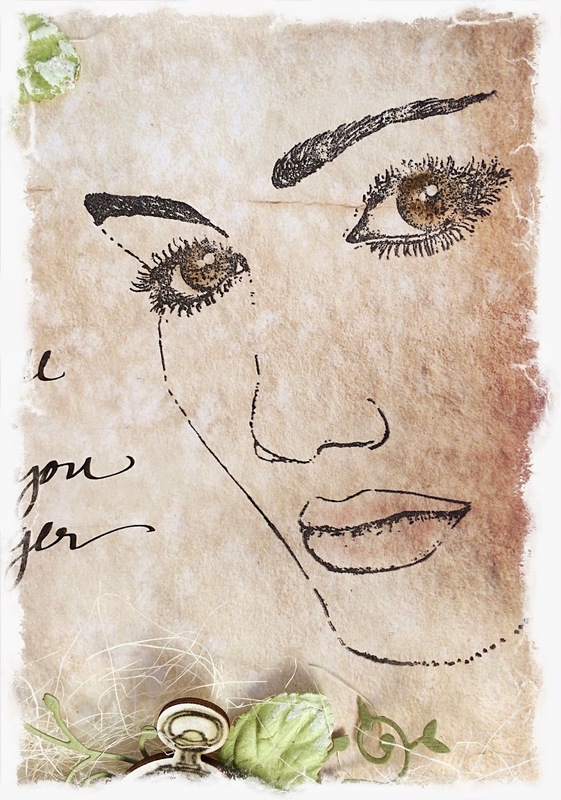 I colored in this stamp from Unity Stamp Company (from my stash) with Distress Inks. Wow oh Wow oh WOW..... I mean... I love your sketch page, that for sure, but OMW RAE... That Scroll is absolutely FANTASTIC!!!!! Rea, these amaze me, such beauties. Awesome talent. You layout is stunning, but that scroll...no words. Speechless. 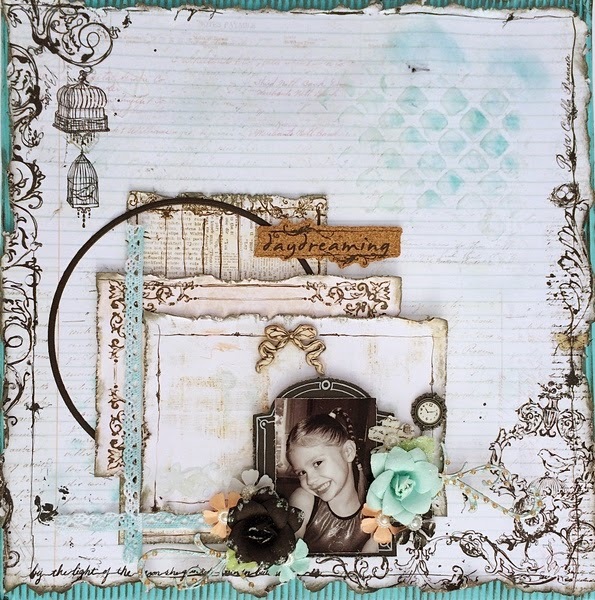 Rae your projects are gorgeous as always! Love that scroll!